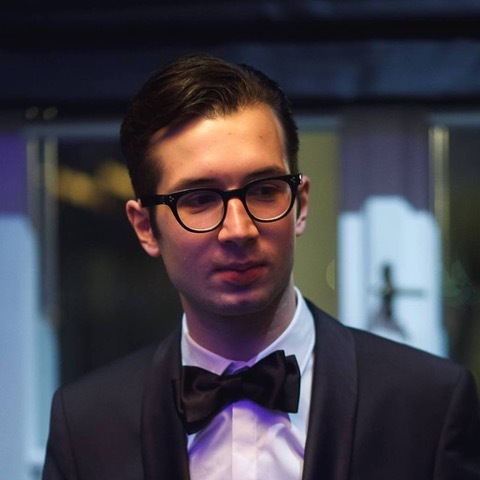 Kacper Majewski studiert Politische Theorie an der London School of Economics und hat zuvor Rechtswissenschaften am St. Anne's College der Universität Oxford studiert. Comments from eminent Polish lawyers and academics appeared immediately, with the emphasis understandably put on the political significance of the move and its possible implications for the relations between the already strained Poland–EU relations, including the worries of Poland leaving the EU. The imminence of local elections no doubt fuelled such dramatic narratives being developed in order to turn the electorate, staunchly committed to the EU, away from the ruling party. The purpose of this note, however, is rather to examine why the case, despite its obvious entanglement in domestic politics, may be of interest to EU lawyers. I will first summarise the arguments given by Mr Ziobro in support of his petition, and later consider some more general implications of this reasoning. Mr Ziobro starts with a familiar reassertion of the Trybunał Konstytucyjny’s competence to review EU treaties on the basis of the Polish Constitution (pp. 3–4). He then proceeds to set out the basic workings of Art. 267 TFEU. Citing C-297/88 Dzodzi v. Belgium, Mr Ziobro alleges that “in practice there are preliminary questions asked on the basis of the challenged norm whose subject-matter extends to issues beyond the scope defined in Art. 267 TFEU, and the CJEU rules on those issues under Art. 267 TFEU” (p. 8). He proceeds to observe that the recent preliminary references made by the Polish Supreme Court confirm “the normative content of Art. 267 TFEU, which includes the court’s competence to refer a preliminary question on the design and organisation of the judiciary” (p. 10). This is presented as an abuse of the preliminary reference mechanism—although the preliminary questions “admittedly … related to EU acts,” they nonetheless “were essentially aimed at getting the CJEU to opine on the judicial system in Poland and in particular to relate to the legality of the Supreme Court Act—so of a domestic, not a Union, act, moreover one with no EU elements” (p. 9). This idea of a preliminary reference being de iure limited to EU law, but de facto having domestic (political? legal?) implications is repeated several times at pp. 9–11. The distrust discernible in those remarks is striking. It is one thing to say that some references may have consequences unwarranted by the jurisdictional scope of Art. 267; Mr Ziobro, however, seems to insist throughout that in any case where the question of EU law may have any impact on any matter that is considered ‘purely’ domestic, then ipso facto there is some sort of unwarranted and illegitimate interference. This much stronger claim provides the basis for the main argument against Art. 267. For it is difficult to see why we should be worried about the fact that preliminary questions “may also concern matters constitutionally restricted for [the exclusive competence of] the organs of the Republic of Poland” (p. 22) unless one assumes that the CJEU will fail to note the relevant jurisdictional issues and readily answer actually unwarranted questions. As one of such spheres of exclusive domestic competence he mentions the ‘organisational autonomy’ of the judiciary of a member state (pp. 25–26), awkwardly noting in passing that ‘procedural autonomy’ (which may or may not be synonymous with ‘organisational autonomy’) may however be regulated—and thus limited—by the EU (p. 26). His argument then boils down to this: “[a] provision which leaves a member state court free to determine competences contrary to the Constitution of Poland” (p. 27) infringes the principle that “[t]he organs of public authority shall function on the basis of, and within the limits of, the law,”1)Art. 7 of the Polish Constitution and in particular of the Constitution. For as it is the exclusive competence of the legislature to regulate the judicial system (pp. 19–20; 27), it would be essentially illegitimate to transfer that competence to any other organ. Art. 267 in its full width (and presumably because of the alleged repeated abuses thereof?) constitutes precisely such a transfer. Those are, roughly, Mr Ziobro’s arguments, which may as well turn out to be adopted more or less wholesale by the Trybunał Konstytucyjny. Such a course of events would have some interesting—if drastic—implications for the integrity of the EU legal system. The first headlines reporting the application were somewhat exaggerated: it was claimed that Mr Ziobro seeks to challenge the constitutionality of Art. 267 tout court. As we have seen, his challenge is substantively limited, and his arguments make it quite clear that his immediate end is to safeguard the reforms of the judiciary from any challenges from Luxembourg. But we have also seen that he challenges the Article “to the extent that it allows referring to the Court [of Justice] a preliminary question … in matters pertaining to the design, shape, and organisation of the judiciary as well as proceedings before the judicial organs of a member state” (my emphasis). I have mentioned that Mr Ziobro equivocates ‘organisational’ and ‘procedural’ autonomy, probably in an attempt to find some room where he could ground the supposed exclusive autonomy in matters relating to the organisation of the judiciary without thereby uprooting the fundamentals of Luxembourg jurisprudence. The truth is, however, that if the petition is affirmed by the Trybunał Konstytucyjny, this would mean a potential rejection of a whole body of EU procedural law that establishes domestic courts as the administrators of the EU legal system. Indeed, it could be sensibly said that even the question in 26/26 Van Gend en Loos was in at least one sense “pertaining to the design, shape, and organisation of the … proceedings before the judicial organs of a member state.” On the interpretation offered by Mr Ziobro, the Court’s failure to disclaim its jurisdiction in that case meant that the ruling is unconstitutional and inapplicable in Poland. Of course it may be said that Mr Ziobro’s target is not so much the result of unconstitutional preliminary references, but only the very act of making a reference. What this would mean is, however, difficult to grasp. Would the unconstitutionality of a reference by a Polish court taint the force of a ruling given directly in response thereto? Presumably yes—Mr Ziobro needs the Trybunał’s ruling precisely to be able to contest Luxembourg’s responses to the recent Polish references. If so, what would then be the status of a reference by a Czech court? Would the Polish government insist that the Czech reference is equally unconstitutional and the corresponding ruling has no binding force in Poland? Or would it accept the ruling? These questions are not readily answered unless we decide to take the most intuitive, but disastrous interpretation that all rulings given on ‘forbidden’ preliminary references are void—disastrous, because it would entail Poland’s rejection of a major part of EU constitutional law. The principles of judicial cooperation and procedural autonomy are already one of the more difficult themes of EU constitutional law, and the possible Polish ruling may make it still more convoluted. Unfortunately, that may be the point—it has been part of Mr Ziobro’s strategy to sometimes push doctrinal confusion to the point in which, in Hart’s famous phrase, “all that succeeds is success.”2)H.L.A Hart, The Concept of Law (3 ed. OUP 2012) at 153. 2. ↑ H.L.A Hart, The Concept of Law (3 ed. OUP 2012) at 153. SUGGESTED CITATION Majewski, Kacper: Will Poland, With Its Own Constitution Ablaze, Now Set Fire to EU Law?, VerfBlog, 2018/10/17, https://verfassungsblog.de/will-poland-with-its-own-constitution-ablaze-now-set-fire-to-eu-law/, DOI: https://doi.org/10.17176/20181026-150347-0. If Ziobro "expanded his constitutional review application from 23 August" with the question about art. 267, what was the subject of the original petition? So far as it concerned Art. 267, it was a question of whether Art. 267 was constitutional to the extent that it enabled a preliminary reference of a question not relevant to the case before the referring court. The two challenges to Art. 267 from 23 Aug and 4 Oct are however treated as autonomous in the second application, even if technically in the same case/proceedings. Thank you for this interesting analysis of the Minister of Justice’s petition. It would be great if you could specify the mentioned worst case scenario ("that all rulings given on ‘forbidden’ preliminary references are void"). Do you mean "void" in the sense of "valid from a European Law perspective but not applicable in Poland" or "void on the basis of European Law and therefore not applicable in Poland"? I am aware that from a (conventional) European Law perspective there are no exceptions to the bindingness of ECJ judgments, but a national constitutional court could nevertheless adopt the combative attitude to deny the existence of a valid ECJ judgement. Is that a possible scenario in the current case according to your assessment? Yes—I of course mean 'void' on the basis of Polish constitutional law *as interpreted by the Polish government* and valid from any other conventional/orthodox perspective. Unless the Constitutional Tribunal decides to give a ruling on some narrower grounds (and it is to be seen what those could be), this state of things seems to me to follow in legal doctrine from Ziobro’s arguments. Of course it is completely impracticable (unless we leave the EU, which is, on the other hand, politically implausible), meaning that the practice would diverge from the doctrine. And this would result in the government challenging only those decisions which it finds uncomfortable. (More generally, the thrust of Ziobro’s application is to shift the jurisdictional competence of the CJEU to Warsaw and other member-state capitals, presumably to use it at his discretion.) The practical effect of it would hinge on the robustness of CJEU’s efforts to counter this, which given the latest development leaves quite some room for optimism. This is pretty convoluted and I can only hope to express my thoughts on this with some clarity, but my point is this: I think that though the Polish government will not reject Van Gend and other, less fundamental, constitutional cases (that would indeed be a practical withdrawal from the EU), they will nonetheless have ready an argumentative doctrinal basis for doing so, one which they may then use selectively to (try to) secure their constitutional interests in institutional stand-offs.